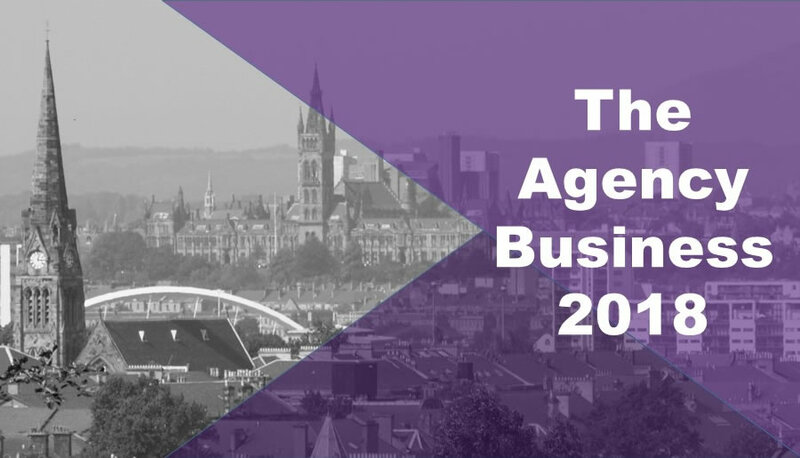 Another year another ‘The Agency Business’ conference, a day for all letting agents in Scotland to come together to learn, participate and network. The last few months have been busy for the industry with the new Private Residential Tenancy (PRT), the transfer of private rented sector (PRS) jurisdiction to the First-tier Tribunal and the introduction of the Letting Agent Code of Practice. The momentum over the next few months will continue at a pace with Letting Agent Registration and the date of 1st October fast approaching, so investing in a day to consolidate and regroup at the letting agent conference is truly worthwhile. Attending the conference counts as five hours of continuing professional development (CPD) training time which will be recognised by the Scottish Government for the ongoing training requirement within the Letting Agent Code of Practice compliance requirements. Mike Campbell (Council of Letting Agents (CLA) director) kicked off the day by introducing some new technology ‘slido.com’ – an interactive way to ask questions at the event. With a quick practice session to set things in motion, it seemed to work well, and after a few silly answers to lighten the mood, the delegates were then ready for some serious ‘agency business’. Kenneth Gibb (University of Glasgow), the first main speaker of the day delivered an interesting session, ‘The private rented sector (PRS) in the wider context of housing’. Working with a multi- disciplinary group looking at various themes around housing he outlined that the percentage of PRS housing has trebled the since late 90s and whilst good news for the delegates, he discussed some observations around the effect of the housing crash back in 2008. The crash had a subsequent detrimental effect on loan to values (LTVs) and the whole buy to let market, which has meant that the industry is much harder to get into now than prior to the crash. The next main session of the day was delivered by Carolyn Hirst (Hirstworks) who looked at how to deal with complaints. She used pictures that showed two different images, depending on perspective, producing a strong reaction from the audience when disagreements on the content of the image broke out. This was a great way to demonstrate that there are 2 sides to every story, essential to remember when dealing with any disagreement/complaint. There were many salient points to take away from the session including, listen to understand not to defend, sorry is only an expression of regret so always offer this however only offer an apology when you have got it wrong, don’t fear conflict and view complaints as free feedback which can be used to improve service. The conference followed a different format this year. After the initial two main speakers, the delegates were able to choose from a variety of breakout sessions covering a plethora of topics useful in the day to day running of a letting agency. Smaller groups allowed more opportunities for questions and offered the delegates the ability to choose topics that were or more interest to them. a member forum where the audience dictated the content by way of questions coming in via the ‘slido’ technology and answered by a panel of experts including Mike Campbell, Caroline Elgar (SAL policy manager) and Amanda Wieworka (CLA policy group chair). Lots of questions around the PRT and the issue that some agents are having problems acquiring client bank accounts which comply with the Code. a session with Thomas Ashdown (Citylets) and David Hackett (Letting Protection Scotland) covering new rental data for the PRS with Thomas and David talking through dispute resolution and complaint handling when dealing with tenant deposits. a technology session looking at software to help with the administration of time consuming tasks and showcasing technology that actually makes an impact on the business. Neil Cobbold presented his PayProp technology, a rental payment automation platform which also provides the user with a Code compliant client bank account and Tim Hill from Keyzapp, discussed his key management system that significantly reduces the stressful and time consuming job of keeping track of property keys in an agency. a session talking about compliance and CPD and training. Gail Bowden (SAL Compliance Manager) delivered a session outlining the benefits of compliance and how it can help you to see things clearly and guide you to the right path and keep you on it. She reminded delegates of the documentation available to them as members of the CLA via the SAL website members’ resources section. Elspeth Boyle (Landlord Accreditation Scotland (LAS) Director) spoke about CPD after gaining the letting agent qualification, talking about the benefits, the hours required and how to gain them. She announced new CPD courses starting in September, including ‘communication’ and ‘complaints handling’ which would provide 2 hours of recognised training with a further course to be delivered by SafeDeposits Scotland on ‘tenancy deposit disputes’ providing 5 hours. The delegates reconvened in the main speaker hall late afternoon for some light relief – a discussion on the General Data Protection Regulation (GDPR). Alastair McKendrick (TC Young Letlaw) had big Andrew Cowan boots to fill and with such an “exciting” topic he did well to keep the delegates alert and deliver the key points on how to remain data protection compliant from 25 May 2018. All that was left to do after a hectic and informative day was for Mike Campbell to take to the lectern again to thank delegates, sponsors and staff for a great day and to encourage everyone to stay positive and embrace the changes ahead, as the industry has always done.